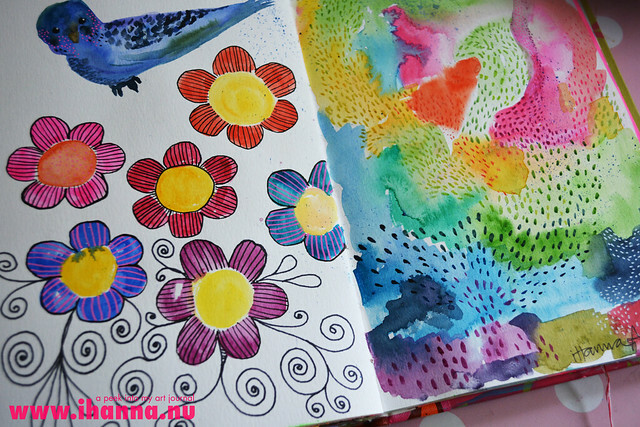 An art journal should be a visual feast for the eyes. When you open it up, it should bring you happiness and a few surprises, even when it’s your own journal! 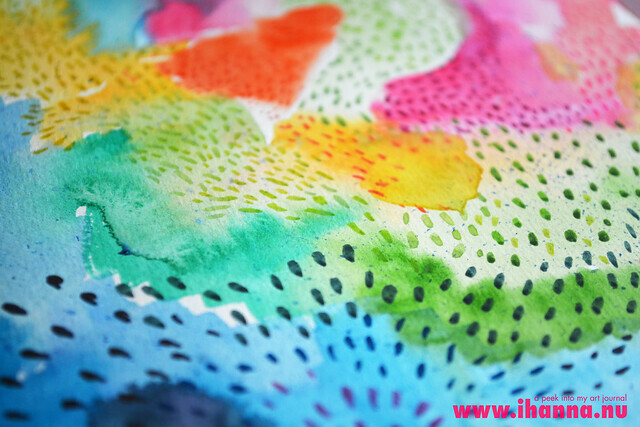 To get that visual fest, for myself, I need to work with collage, doodles, patterns, bright and happy colors. I need to mix things up a lot, so I don’t get bored with one color or one technique. I love adding a bit too much. I love exaggerations and colors that pop. I love when the pages feel like they’ve got something to say. That’s when I find myself on the page. Here’s some details/close ups of my watercolor art journal spread. Thanks for letting me share my art journal pages with you, you’re the best! 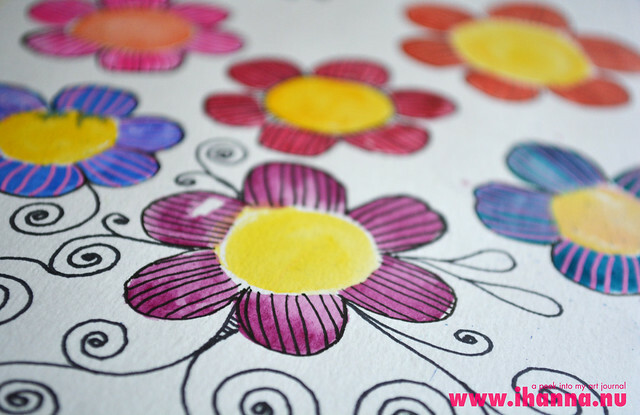 This entry was posted in Art journaling and tagged art journal peek, flower doodle, watercolor doodle. Bookmark the permalink. Love all your bright, happy colors! 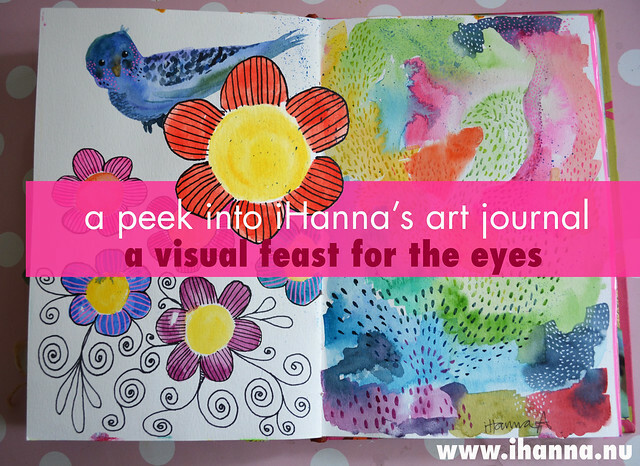 Thanks for the peek, Hanna! Definitely made me smile! And you’re the best! Love what you’ve showed off, very cool artwork. Love those dashes on the right hand page. Love the bright colours and those dashes look like love, and peace, going out to the universe. Gorgeous! Love those journal spread … nice works. You’ve created such a happy, pretty place. Nice of you to invite us in.